You are here: Home > Do You Have an Annoying Cold Sore? We Can Help! Do You Have an Annoying Cold Sore? We Can Help! Do you have an obnoxious cold sore that keeps coming back? Would you like that cold sore to never come back again? Here at Bethany Family Dental, Doctor Austria can help you with a permanent solution. Our Doctor is always on the cutting edge of the dental industry with his advanced education, cutting edge tools, and an insightful look into what patients really need. This means Doctor Austria can help you in more ways than you may realize. Now you can get rid of your cold sore permanently at Bethany Family Dental. Cold sores, sometimes called fever blisters, are groups of small blisters on the lip and around the mouth. The first symptoms of cold sores may include pain around the mouth and on your lips, a fever, sore throat, or swollen glands in your neck or other parts of the body. Do you have small children at home? If so, you may have realized that some small children drool before cold sores appear. After the blisters appear, the cold sores usually break open, leak a clear fluid, and then crust over and disappear after several days to 2 weeks. For some people, cold sores can be very painful. Here at Bethany Family Dental, Doctor Austria has a Deka laser, which is a tool to help treat cold sores. The Deka laser is a state-of-the art tool. It’s the top-of-the-line laser available. We frequently help patients get rid of their cold sores and mouth ulcers in a way that ensures they will NEVER return in that area again! We can treat any patient who wants to remove their cold sore. We treat it with the intensive but gentle treatment of the laser. The best part is, the cold sore will never return to the same spot. It’s a great benefit to anyone who suffers from chronic cold sores or knows someone who does. 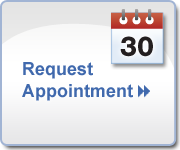 If you would like to receive a consultation or would like more information, make an appointment today.